When we sit around the #UNSC & warn that inaction will mean more people are going to die. More schools bombed. More children scarred. This is what we mean. 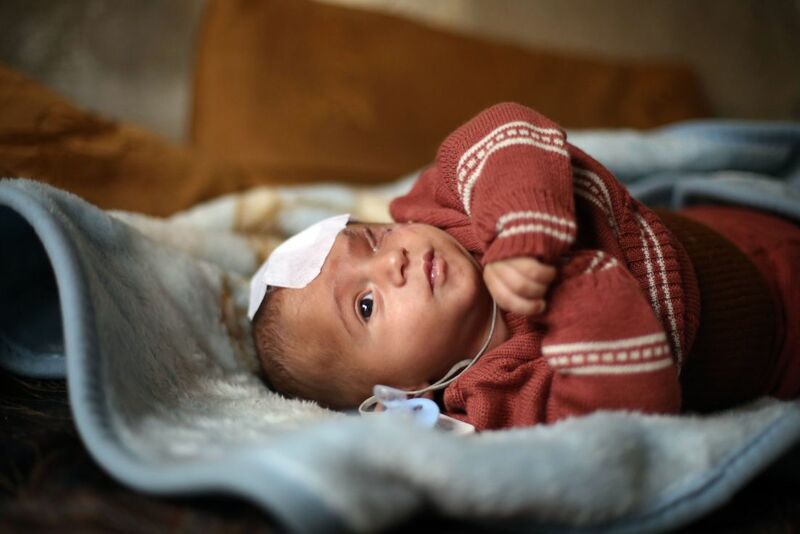 An image of a Syrian baby’s striking scar trailing down what used to be his left eye has sparked a global campaign of solidarity, with people around world posting photos on Twitter of themselves covering one eye. 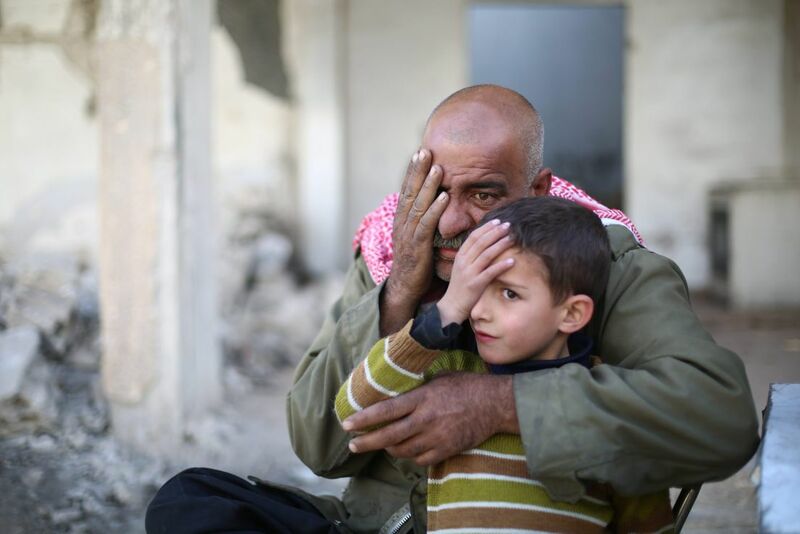 Amer Almohibany, a Syrian freelance photojournalist documenting Syria’s six-year war said he was haunted by a baby named Karim who lost his eye and mother in the bombing of Eastern Ghouta, a besieged rebel enclave near Damascus. “His image was permanently etched in my mind,” Almohibany told the Thomson Reuters Foundation by phone. The UN says about 400,00 civilians besieged in Eastern Ghouta face “complete catastrophe” because aid deliveries by the Syrian government were blocked and hundreds of people needing urgent medical evacuation were not allowed out. 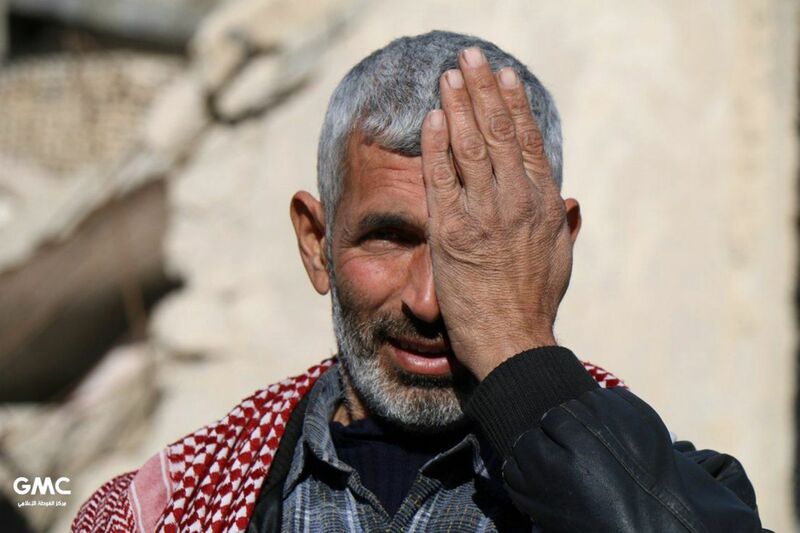 Almohibany, 28, posted a photo on Twitter last week of himself covering his eye, along with photos of two-month-old Karim with the hashtag #SolidarityWithKarim. The campaign inspired others to respond, including Britain’s United Nations (UN) ambassador Matthew Rycroft who tweeted a photo of himself with one hand over his eye, seated at a UN Security Council meeting. “When we sit around the #UNSC and warn that inaction will mean more people are going to die. More schools bombed. More children scarred. This is what we mean,” he posted. 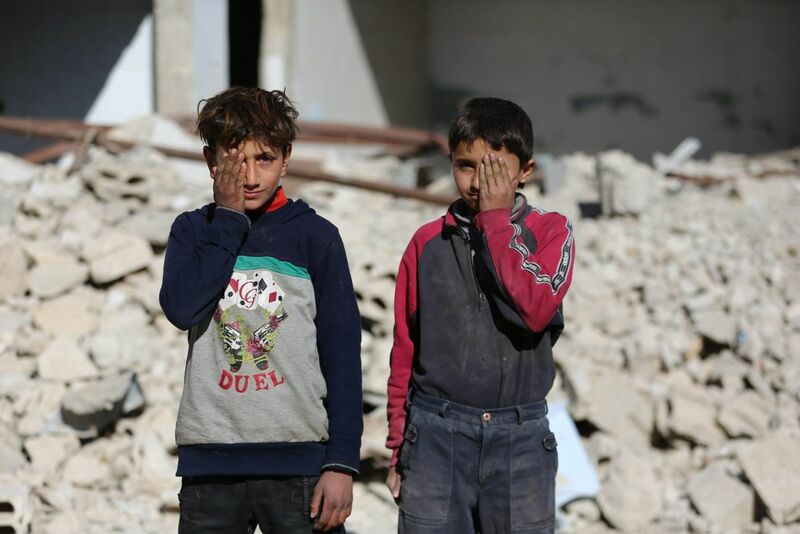 The International Committee of the Red Cross said in a statement this week that, the humanitarian situation in Eastern Ghouta has reached “a critical point”, with limited aid, a frightening food shortage and soaring food prices. 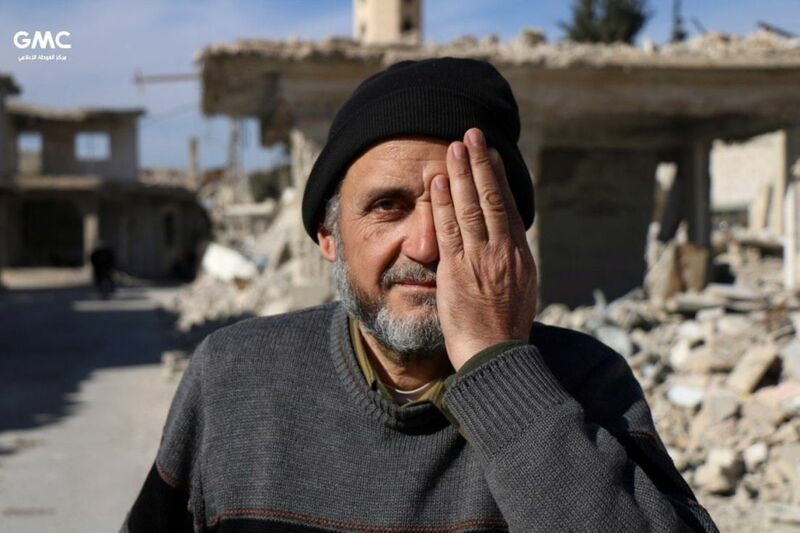 As images of injured, starving or dying children only stay in the news for fleeting moments, Almohibany does not think his picture will trigger real change. But he will keep “showing the truth” of the innocent victims of war, he said. “I was so happy with people’s interactions,” he said.